The China Study is the landmark study that has forever changed the way that we understand sickness. Most of us were raised on lots of animal products that included all varieties of meats, milk, cheese, eggs, cream, butter, and other animal products. This, we were told, was necessary to "get your protein". We have forgotten that our ancestors mostly limited consumption of animal products and live a reasonable long life. In our post World War 2 era, we have turned our diets upside down by not eating a diet rich in vegetables, fruits, grains and nuts. Three out of four of us die each year from chronic diseases that are mainly caused by following a very unhealthy diet. For instance, we now know that chronic heart disease, which is the number one killer of Americans each year, can be stopped in it's track and reversed in most cases by changing the fuel for your body. The medical approach can only offer temporary relief of symptoms with treatment. The clinical work of pioneer doctors, Caldwell Esselstyn and Dean Ornish, have shown the effectiveness of the plant based whole food diet and lifestyle to stop and/or reverse heart disease. Do you have any idea how amazing this is? Ask you doctor if he can cure your heart disease with pills and procedures! Cancer follows heart disease as the next main cause of death in the U.S.A. Dr. Campbell found in his scientific study of diet that what you eat determines the outcome of your long term health. He observed that you could turn cancers off and on by diet changes. The most comprehensive large study ever undertaken! The medical community offers no successful treatments to cure cancers, and for the most part inflicts great harm in the process of treatment. If a person selects medical treatment and survives the cancer, it is usually in spite of the treatments. Here again, the medical world treats the symptoms of cancer and not the causes. The statistical odds of living longer and having a better quality of life goes with those who do not seek chemotherapy, radiation, and surgery. The best treatment for cancer is fueling yourself correctly with a plant based whole food diet and building your immune system. A strong immune system will prevent disease from occurring in the first place. Reading The China Study is a must for anyone wanting more information on Dr. Campbell's amazing scientific study. The New York Times said this about The China Study..."findings from the most comprehensive large study ever undertaken of the relationship between the diet and the risk of developing disease are challenging most of the American dietary dogma." Yet, we still blindly follow the SAD diet. This diet was, and still is, the diet promoted by the government and the food industries. It is truly sad. 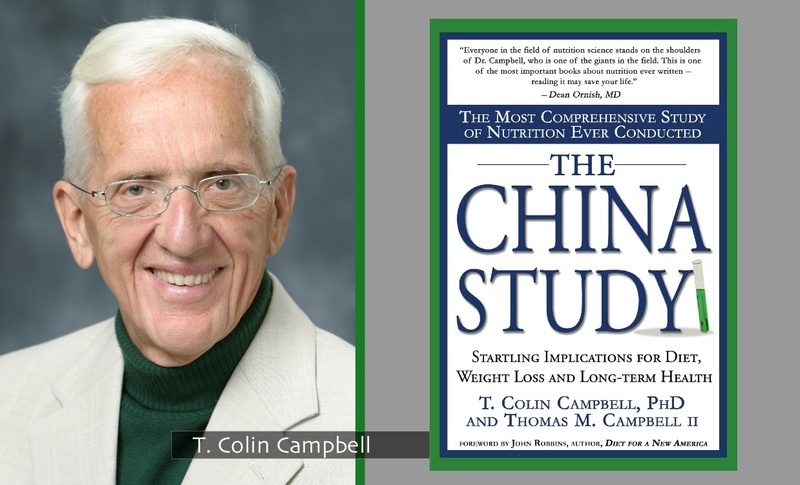 T. Colin Campbell, PhD, author of The China Study, challenges the Standard American Diet and lays out a different path for long term health with a plant based whole food diet. For me, reading about this 25 year study forever laid to rest the idea that diet had nothing to do with achieving excellent health. Instead, I have come to realize that diet has EVERYTHING to do with good health...it is NUMBER 1. This video lecture by Dr. Colin Campbell is about resolving the health care crisis. On the following pages, I am going to review some of the highlights of Dr. Campbell's study that I believe you should be aware of. Who is he as a man that was motivated to challenge the status quo that has brought us this overwhelming decline in American health? Colin Campbell - Dr. Campbell has prompted a revolution in America and other cultures as to how we should think about the food we place on our dinner plates. Health and Disease Prevention - Overcome the misdirected ideas about food, health and disease. Lifestyle Diseases - As civilizations and cultures become more wealthy or affluent, the consumption of animal products increase, and the result is the increase of chronic health issues.